A total of nine ships and over 200 people were lost during the White Hurricane - the largest inland maritime disaster in U.S. history. A total of nine ships and over 200 people were lost during the White Hurricane – the largest inland maritime disaster in U.S. history. THUNDER BAY – History remembers the ‘White Hurricane’. A massive storm hit the Great Lakes in 1913. The storm, dubbed a ‘November Witch’ was the worst storm in the recorded history of the Great Lakes. That weekend, a century ago saw 12 ships wrecked, and 290 lives lost. 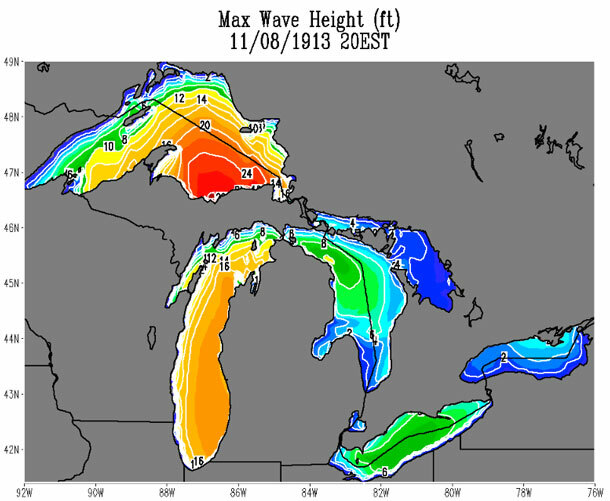 The ‘White Hurricane’ storm changed how weather warnings were posted along the Great Lakes. Often in the earliest days of sailing in the Great Lakes, it was the ship’s captain, and his weather sense that dictated if a ship would sail or not. Without the weather forecasting we have today, ships were set to meet sailing schedules set by ship owners. Shipping disasters often result in changes to the legislation regulating shipping. Just as the Titanic disaster set in place new rules, the 1913 super storm changed the rules on the Great Lakes. NOAA reports, “Storms along the Great Lakes have haunted sailors for more than a century and, in fact, served as one of the motivating factors for the creation of a national weather service when, in 1869, Rep. Halbert E. Paine of Wisconsin introduced a bill that called for the establishment of a weather warning service under the Secretary of War. From the storms of the 1860s to the fierce “November Witch” that sank the Edmund Fitzgerald in 1975, one Great Lakes storm stands out as the deadliest”. 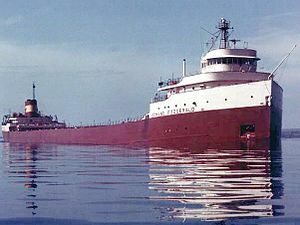 It remains the largest inland maritime disaster in Great Lakes shipping history. This historic storm system brought blizzard conditions with hurricane force winds to the Great Lakes. The unique and powerful nature of the storm caught even the most seasoned captain by surprise, as two low pressure centers merged and rapidly intensified over the Lake Huron, with periods of storm-force winds occurring over a four day period. Vessels at the time withstood 90 mph winds and 35 foot waves, but it was the whiteout conditions and accumulation of ice on the ships that turned an already dangerous situation into a deadly one, as ship captains were unable to maintain navigation. One of the major differences for ships on the Great Lakes compared to ocean going ships are that on the Great Lakes there is virtually no where to out run a storm. As sea, the ship can avoid major storms, on the Great Lakes, especially Huron, Ontario, and Erie, the waves climb to huge heights very fast, and there are few places for a ship to wait out a major storm. 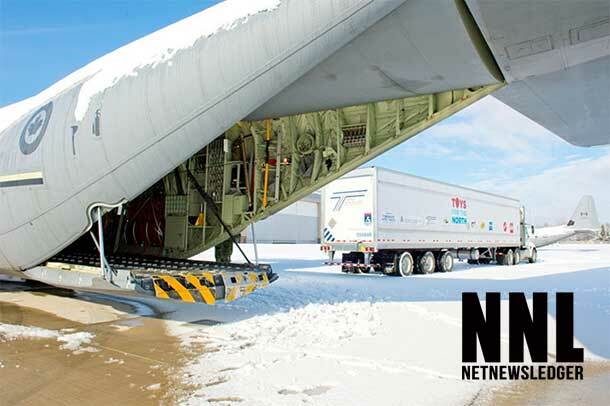 Maritime travel on the Great Lakes can become hazardous quickly, especially when the infamous November gales blow. In 1913, Weather Bureau forecasters would send gale warnings via telegraph to more than a hundred stations along the Great Lakes shores, where volunteers would display flags and lanterns to warn sailors of deteriorating conditions. These warnings were typically hoisted 12 to 24 hours in advance of a storm. For sailors leaving port, there was no means of knowing the character of an approaching storm, and vessels beyond the sight of land were unable to obtain any information. In the case of the White Hurricane, Weather Bureau forecasters issued gale warnings on November 7. However, even the forecasters were caught by surprise by the strength and longevity of the powerful storm. At the time, weather forecasters did not have the luxury of computer models, nor the detailed surface and upper-air observations, weather satellites, or radar needed to make the most accurate predictions. Had forecaster then been privy to today’s upper-air and land- and satellite-based observing systems, they may have been able to determine the likely development of this type of storm system well in advance, as they did with Superstorm Sandy in 2012. As part of the forecast for Sandy NWS marine forecasters were able to predict storm-force winds over the lower Great Lakes five days in advance. The great technology and forecast models available to forecasters today led to a more accurate forecast which saved mariners, recreational boaters, and businesses countless dollars as they were able to make preparations in advance of Sandy’s storm force winds and near 20-foot waves. One hundred years later, NOAA in the Great Lakes is commemorating the Storm of 1913, not only for the pivotal role it played in the history of the Great Lakes, but also for its enduring influence. Modern systems of shipping communication, weather prediction, and storm preparedness have all been fundamentally shaped by the events of November 1913. NOAA has created a Centennial Anniversary Website to remember the events of 1913 and highlight NOAA’s advances in technology and services. Using historic Weather Bureau documents, combined with information from the Twentieth Century Reanalysis Project (provided by NOAA’s Physical Sciences Division), meteorologists at NWS Detroit, led by Science and Operations Officer Dr. Greg Mann, were able to produce a model simulation of the White Hurricane over the Great Lakes. Through this simulated storm forecast, one can approximate what the wave and wind conditions were during the storms peak. The results and analysis of the simulation are available in a special presentation produced by NWS Detroit. 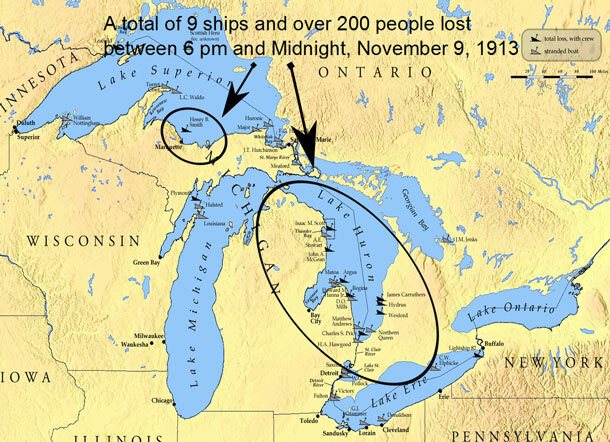 The simulation captured wind gusts over 80 mph and frequent waves to 36 feet on southern and western Lake Huron on the evening of November 9, 1913 — a six-hour period during which eight ships and 187 lives were lost. 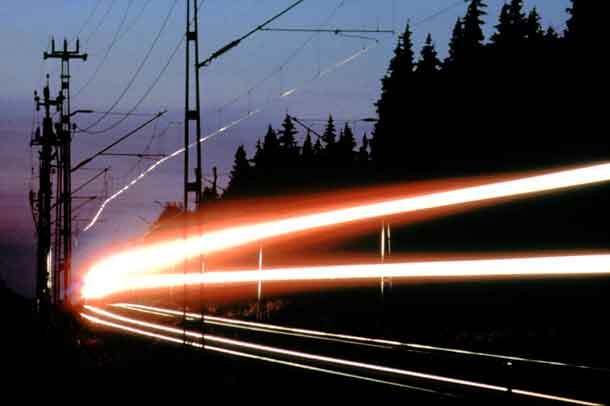 “The simulation appeared amazingly accurate considering limited observations for model initial conditions,” Wagenmaker noted. NOAA plays a major role in protecting maritime relics of the past, including many of the ships lost in 1913 have remained preserved deep below the surface of the Great Lakes. NOAA’s Thunder Bay National Marine Sanctuary is a 48-square-mile area of protected territory with one of America’s best-preserved and nationally-significant collections of shipwrecks. 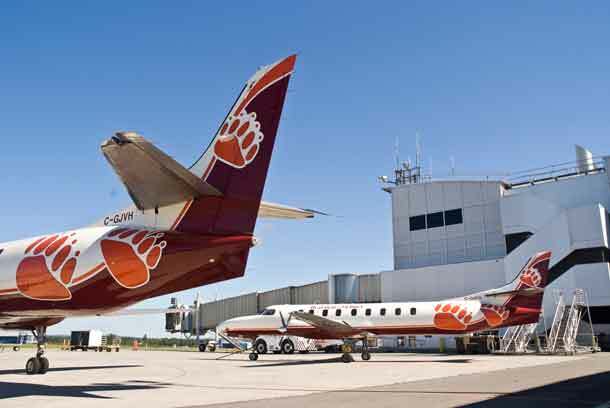 Located in northwestern Lake Huron, Thunder Bay is adjacent to one of the most treacherous stretches of water within the Great Lakes system. Unpredictable weather, murky fog banks, sudden gales, and rocky shoals earned the area the name “Shipwreck Alley.” To date, more than 50 shipwrecks have been discovered within the sanctuary including the Issac M. Scott, a 175 foot steel freighter lost in the storm of 1913.